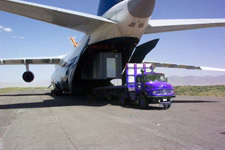 Accelerated Transportation Solutions, specializes in moving cargo throughout the U.S.A., Canada and Mexico by utilizing our expansive network of agents and carriers. 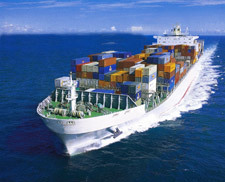 We have been in business since 1997 and have over 50 years of experience collectively in the transportation industry. We pride ourselves with personalized hands on service and follow each and every shipment until completion. Accelerated Transportation Solutions was established in 1997. Collectively, we have over 50 Years of experience in the transportation industry. Using our expansive network of agents and carriers in North America we specialize in moving cargo throughout the USA, Canada and Mexico. Delivering unmatched customer service following each and every shipment until completion. Our goal is to stand out ahead of the rest delivering the best possible service. Accelerated is committed to providing a seamless door to door service for you an all your freight needs! Located in New York and making connections all over the USA, Mexico and Canada. Turn your troubles & confusions into.. Accelerated Solutions! Copyright 2012 © Accelerated Transportation Solutions, Inc.